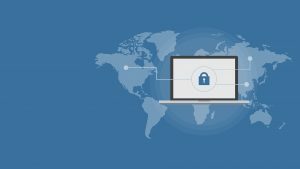 In a world where so much of our lives rely upon data, the internet, and various devices, it stands to reason that having some form of protection or plan in place makes sense – just in case we risk losing it all. This has never been truer when it comes to businesses – and with more and more businesses choosing to handle data purely on a digital basis, via cloud computing and more besides, there are unfortunately going to be new risks arising for said data. If you’re handling sensitive customer information, banking details, client contracts or otherwise, you’re going to need to have a plan in place in case of hacking, data loss or hardware failure – and the start of such a plan arises with solid business IT support. Small businesses, in particular, run the risk of losing work, time, effort and even money if they don’t consider the worst possible case scenarios – while it’s always a good thing to stay positive, staying alert, secure and responsible is a different matter entirely. 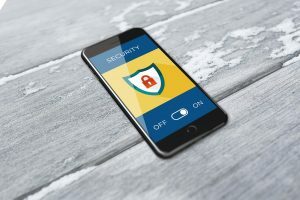 Your business – and your livelihood – could be at risk should your systems crash, should you lose connectivity, should you be attacked by malware or be hacked, or should you oversee a mass data wipe that effectively puts you back at square one. These are all nightmare scenarios which should be – and can be – avoided. Thankfully, help is at hand if you are worried about any of the risks we’ve detailed. Tech CPR offer a competitive Business IT Support solution for small to medium firms across our region in need of a protective plan against the worst case scenarios. What happens if something happens to your infrastructure but lack the technical know-how to get everything back up and running again? What if you find your finances running low due to costly repairs and enhancements that don’t seem to be doing their job? We can help. We’ll help to set you up with a reliable, affordable and easy-to-manage IT support system whereby you can call on our experts, day or night, for any concerns you may have over the running of your IT infrastructure. Need to install or upgrade new software or hardware? Experiencing regular network outages? Want to improve the efficiency of your existing hardware? Call on us 24/7 for tailored IT management when you need it – we’ll be your first line of support, and we’ll run everything from ad hoc problem solving to full auditing as and where required. Tech CPR are Chesterfield’s local IT specialists and it’s our pleasure to continue supporting so many local businesses and brands with their computing and networking needs. For more information on our Business IT Support service, call us today on 01246 452319 or email us with any specific queries you may have at your convenience. Don’t let your sensitive data or the running of your operation fall to pieces – call upon a team of seasoned experts who will be able to find you effective, long term solutions to even the most complex of IT concerns.